​Hometown: Woodlynne, New Jersey, U.S.
Died: July 17, 2008 in Operation Enduring Freedom. Unit: Marines, 1st Battalion, 6th Marines, 24th Marine Expeditionary Unit, II Marine Expeditionary Force, Camp Lejeune, NC. 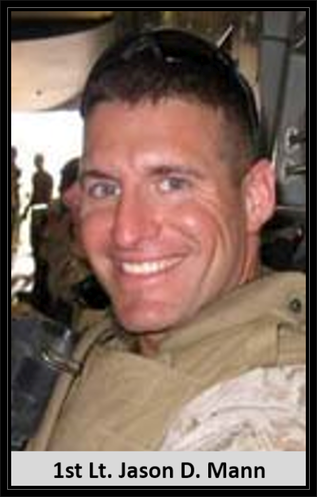 1st Lt. Jason D. Mann, 29, Camp Lejeune, N.C., died Thursday, July 17, 2008, in Helmand Province, Afghanistan, when the roof of a building collapsed on him. Born March 24, 1979, in Woodbyne, N.J., he was the son of Orville Mann of Pine Grove, Pa., and Alfina Mann of Woodbyne, N.J.
A graduate of Collingswood (N.J.) High School, he enlisted in the Marine Corps on Nov. 3, 1997, and was an Arab linguist, reconnaissance professional and ground intelligence officer with the Battalion Landing Team 1st Battalion 6th Marines, 24th Marine Expeditionary Unit. He achieved the rank of staff sergeant before receiving a commission as a second lieutenant on May 6, 2005. In 2005, he earned a bachelor’s degree in business administration with a major in finance and economics from the University of South Carolina. After completing basic school, Infantry Officers Course and the Ground Intelligence Officer Course, Mann reported to 1st Battalion 6th Marines for duty as the battalion’s assistant intelligence officer and, later, the battalion’s scout sniper platoon commander. He was an honor graduate of his Officer Candidates’ School class and recipient of the physical fitness award, and received the Navy and Marine Corps Achievement Medal, two Good Conduct Medals, Iraq Campaign Medal, National Defense Service Medal, Global War on Terrorism Service Medal, Navy Meritorious Unit Commendation and two Sea Service Deployment Ribbons. Survivors include his wife, Shannon Nicole Mann; a daughter, Isabella Caroline Mann; three brothers, William, Mickey and Brian Mann; two sisters, Jennifer Cleaver and Tracey Mann; and his grandparents, Kermit and Wilma Smith of Lanesville. 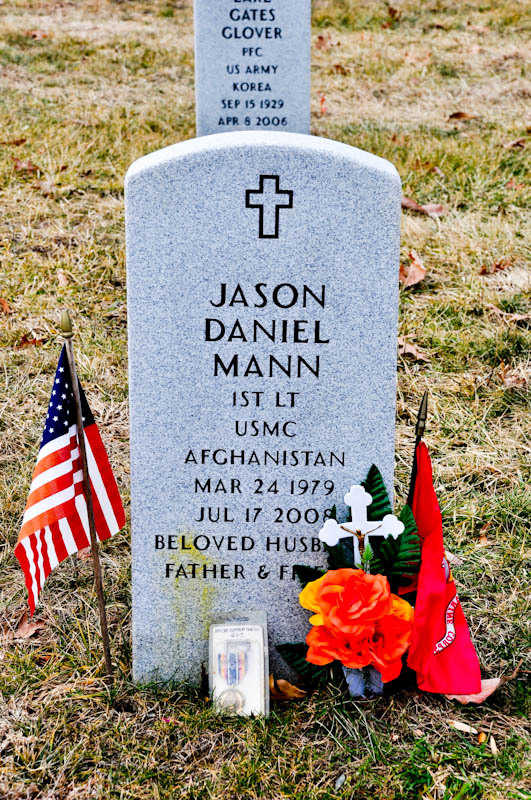 U.S. Marine Corps 1st Lt. Jason D. Mann, 29, of Stafford County, with the Camp Lejeune, N.C.,-based Battalion Landing Team, 1st Battalion, 6th Marines, 24th Marine Expeditionary Unit, died Thursday, July 17, when the roof of a building collapsed on him in Helmand Province, Afghanistan. 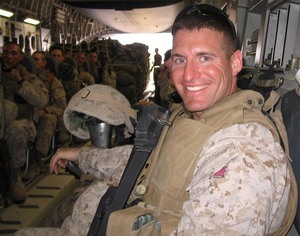 1st Lt. Mann was born March 24, 1979, in Woodlynne, N.J. After graduating from Collingswood High School in Collingswood, N.J., he enlisted in the Marine Corps on Nov. 3, 1997. In the Marine Corps, he was an Arab linguist, reconnaissance professional and ground intelligence officer. He achieved the rank of staff sergeant before receiving a commission as a second lieutenant on May 6, 2005. He earned a Bachelor of Science degree in business administration with a major in finance and economics from the University of South Carolina in 2005. After attending The Basic School, Infantry Officer's Course and the Ground Intelligence Officer Course, he reported to 1st Battalion, 6th Marines for duty as the battalion's assistant intelligence officer and later, the battalion's scout sniper platoon commander. While attending the University of South Carolina, he fell in love and married his best friend, Shannon Mann. Together, they have a beautiful 2-year-old daughter, Isabella. Jason's energy and caring nature is reflected in her. He was regarded by all as a devoted husband and father, loving son and brother, selfless friend and sonsummate leader of Marines. Jason credited his mother, Alfina Mann of Woodlynne for teaching him strong morals and compassion. Jason's father, Orville Mann, resides in Pine Grove, Pa. He is also survived by his brothers, William Mann, Mickey Mann and Brian Mann; and his sisters, Jennifer Cleave and Tracey Mann. Jason was the honor graduate of his Officer Candidates' School class and recipient of the physical fitness award. His personal awards included the Navy and Marine Corps Achievement Medal; two Good Confuct Medals; Iraq Campaign Medal; National Defense Service Medal; Global War on Terrorism Service Medal; Navy Meritorious Unit Commendation; and two Sea Service Deployment Ribbons. His hobbies included running, competing in triathlons, crew, bowling, snowboarding, football, softball, hockey and, above all, spending time with his family and friends.